I was watching a documentary that day. 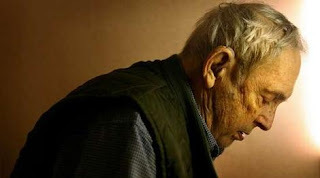 It was about a man, who had lived his life simply by hanging on to a hope he had deep in his heart, a hope that one day, a cure to his illness could be found. I realized from him, that hope is such a powerful feeling that Allaah has given to us, His Servant. Could you imagine a life without hope? What would life be if the feeling of hope is absent from our heart? 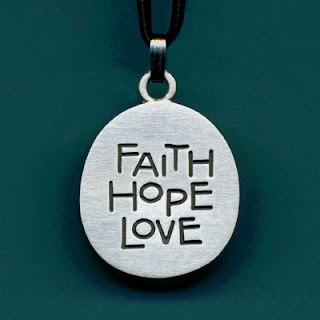 Imagine, an ill person, a sinful person, a sad person, a heart-broken person, a financially distressed person, an emotionally distressed person, a grieving person and many more- who decided that there is no hope for them? Because of that, Allah given us this important feeling of hope, don’t you think? He said call out to Him, pray to Him, ask from Him. I remembered once, I was asked by a friend. SubhanAllaah, isn’t that hadeeth just like water that is much needed in the desert we are all living in? Isn' that what we are hoping from Allaah, our Lord, our Creator? His Love, His Mercy and His Forgiveness? Between Love, Hope & Fear is an extraordinary anthology overflowing with heart-wrenching poetry, short stories and essays that will bring readers closer to achieving true love of Allah, fear of His Punishment and hope in His Mercy. Not only does it aim to bring inspiring poetry and short stories into the lives of readers, but it also aims to aid the Muslim community in Lewisham, London (UK), as the profits of the book will be donated to Lewisham Islamic Centre. It is based on the following quote by Ibn al-Qayyim: "The heart is like a bird: love at its head and its two wings are hope and fear." To attain the great success, it is not enough to simply love Allah, or fear Him; nor is it sufficient to just hope in His Mercy. Rather, we should constantly be in a state Between Love, Hope & Fear. And ears have not yet heard how heavenly harmonies delight. And over time, we have attempted endless imaginations. Such a vivid description of a Muslimah’s reflection on the delights of Paradise, and the hope that we have to be granted it - the longing, the desire and the continuous imagination of its wonderful sights, tastes and smells. But such hope and imagination requires meticulous care – care that it does not leave the dreamer simply dreaming, but they should act to achieve this desire. Balancing our actions, thoughts and speech with this hope, coupled by love and fear creates equilibrium: the perfect equation for all acts pleasing to Allaah. The extract above is an excerpt of a poem titled Rumination from a book set to help readers appreciate the need for such a balance in their lives. With the hustle and bustle of every day life, it’s often easy to lose focus on these three simple, yet important motivational factors. Some have even gone to the extent of classifying them as pillars of worship. 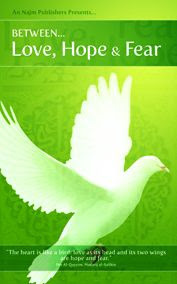 Thus, featuring a serene white dove on the front cover, the book Between Love, Hope & Fear exemplifies and illustrates the necessity of this crucial balance: loving Allaah, hoping in His Mercy and fearing His Punishment. The book, published by An-Najm Publishers, provides readers with words to chew on - poetry that touches the heart; short stories that snap readers into action and essays that are hard-hitting. It has brought tears to the eyes of many and has inspired many more. Each section in the book has been deliberately divided into three, with a poignant conclusion section that pulls them all together. The feedback we have received thus far has been extremely encouraging, but 'Between Love, Hope & Fear' is just the tip of the iceberg in our struggle to fight the many misconceptions about poetry and Islamic fiction. We have many exciting plans ahead." SubhanAllaah, isn’t that great? To have a book in our hands where authors from many backgrounds and countries shared their thoughts, experiences and stories that we could learn from? 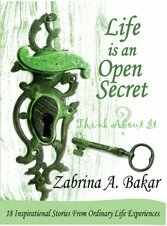 To read an anthology that explains to us the what i felt like having all hope, fear and love in our lives? I am sure there are so many lessons that we could learn from her anthology, you agree? "Once our Prophet - may he be eternally blessed - went to a young man who was on his death bed and asked him 'How do you feel?' The young man said, 'I have much hope from Allah but 1 also fear for my sins'. The Holy Prophet said, The believer who has these two ideas simultaneously at such time, Allah fulfils his hopes and grants him security from fear." (Tirmidhi). SubhanAllaah, Allaah fulfils hopes and grants security from fear. Isn’t that the summer we are looking forward to and hoping for during our fearful winter? Isn't it wonderful to be able to dream of summer when we are facing winter, my brothers and sisters? Dont you think that it makes our hearts all warm and happy to know that summer is coming for sure once we are able to get through this winter? Umm Junayd - also known as Rahma Sanni - is the director of An-Najm Publishers, and also a writer and customer service manager for SISTERS magazine. Between Love, Hope & Fear can be found online at www.an-najmpublishers.co.uk, www.Amazon.com, several UK bookstores, Distributor in Malaysia (Wise Words Publishing : wisewordspublishing@gmail.com) and all major bookstores in Malaysia by early April. The Authors of Between Love, Hope & Fear are an array of talented writers from across the globe. The anthology showcases the outstanding works of Abdullah Chachi (UK), Aisha Chuki Asale (UK), Amatullah Abdullah (USA), Asifa Sheikh (Canada), Asiyah Abdullah (UK), Asma Zaman (UK), Balqees Mohammed (Saudi Arabia), Farah Nadeem (UK), Fawzia Gilani (USA), Isahah Ibrahim (USA), J. Samia Mair (USA), Mollie Brewsaugh (USA), Umm Rumaysa (UK), Quratul Ayn (UK), Rouwdah Ahmed (UK), Sharleen Brandish (UK), Slave of Allah (USA), Umm Eesa (UK), Umm Junayd (UK) and Umm Thameenah (UK). 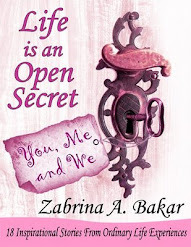 Sis Zabrina, also known as Zabrina A. Bakar, is a Life Storyteller, motivational and inspirational writer and speaker; and author of Islamic motivational book Life is an Open Secret www.lifeopensecret.com. She maintains an active blog at www.wisdomthruwords.blogspot.com.